Europe is an ideal destination for an epic Interrail train adventure or a train tour in Europe. All cities are connected with modern and fast train lines. It’s easy to travel between cities in a short amount of time. But which cities to choose? Are you looking for some inspiration to find the best Interrail routes in Europe? Great news! We got you covered! We collected some of the best itineraries for Interrailing in Europe. Most of these itineraries are planned as a 2-week Interrail route, but can easily be expanded to 3 weeks or even 1 month. Paste multiple Interrail route ideas together to make your trip even more legendary! Party in Vienna or Berlin. Sit on the beach in Poland and roam through ancient cities like Krakow. Enjoy a live concert in a ruin bar in Budapest…. This Interrail itinerary takes you to all the cool places in Europe within 2 weeks. It’s actually a loop, so you can start anywhere or combine this trip with another journey. In this trip, you visit 6 countries and 4 capitals. If you have a few extra days, you can add 2 more capitals! This could just as well be the trip of your lifetime. See a lot of Europe and don’t feel rushed. Start off in Berlin before traveling East into Poland. After a few relaxing days in Poland, it’s time to dive into a few capitals. 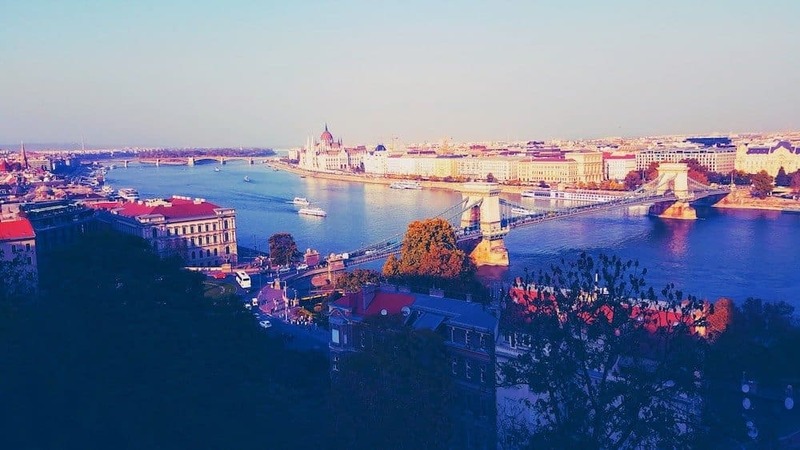 First, we visit Budapest, a thriving city with a lively nightlife. After that, we travel to Vienna and Prague. Optional extra stops are The mountain town of Zakopane in Poland and the city of Bratislava. 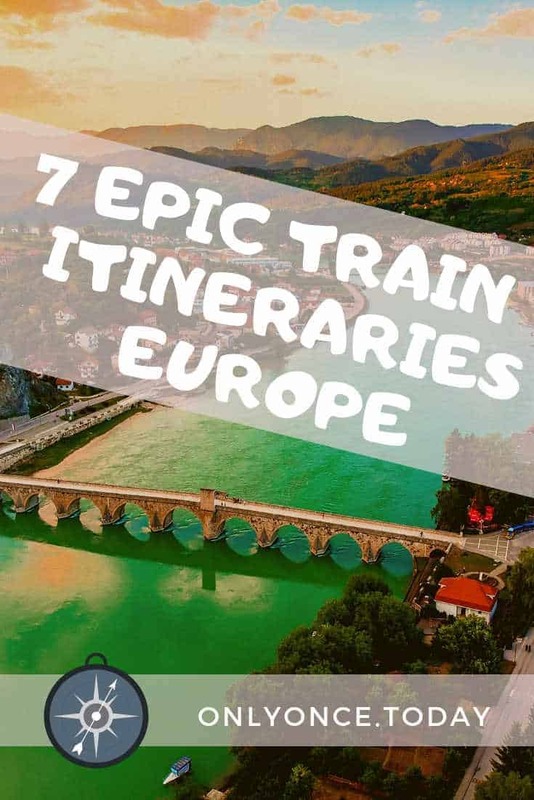 This wonderful train tour of Europe is one of the best Interrail routes out there! For this trip, you need an Interrail Global Pass. Check out the Central and Eastern Europe itinerary! Twelve tropical destinations in one unforgettable summer trip! The Mediterranean Summer Trip is perfect for summertime train holidays in Europe. Start off in Valencia, Spain for sun and white sandy beaches. Start the relaxation straight away. Continue to Barcelona, where you can discover Gaudi and stroll past the artists on the Ramblas. 4 beautiful French cities follow along and you haven’t let the Mediterranean Sea out of sight for even a second. Visit Montpellier, Marseille, Cannes, and Nice before crossing the border into Monaco. See all the highlights of Italy when traveling through Savona, Genoa, Pisa, and Livorno. Your final stop couldn’t be better than Rome, now can it? This 1-month Interrail route can also be done in 3 weeks. But if you want a relaxing Mediterranean holiday, you should plan enough time in each place. For this trip, you need an Interrail Global PassInterrail Global Pass. See all the highlights of Spain in one great train holiday. This Interrail route for 12 days starts off in Barcelona, a city you can’t miss when traveling in Spain. Indulge in the great food and party till you drop in one of the great bars. You can even catch a bit of beach time in Barcelona. Or save the beach time for your next stop in Valencia. Don’t worry! There are more beaches to come! 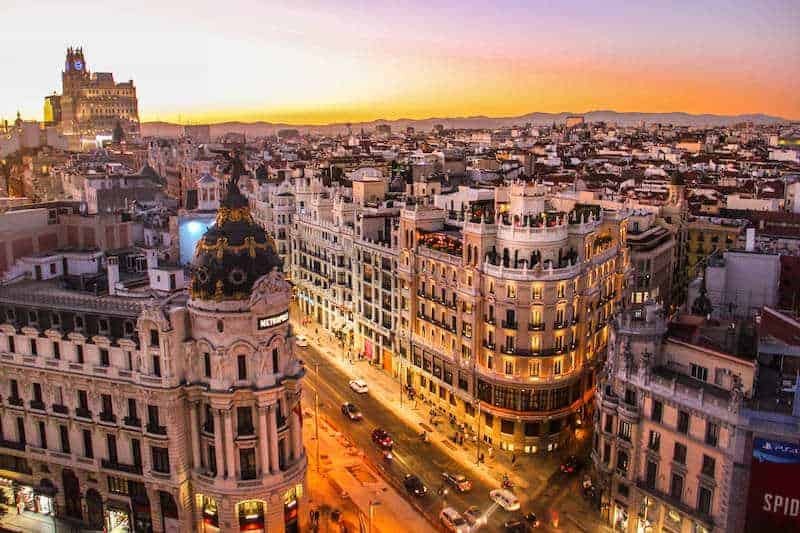 Continue your trip to the capital of Spain: Madrid! This is probably our favorite place in Spain! And it’s very LGBT-friendly too! After visiting the mainland, we head back to the coast in the Costa del Sol! Malaga is a place of playas, Castillo’s, and cocktails on the beach! The last stop on this trip is Sevilla, one of the most stunning cities in the entire country. For this journey, you need an Interrail One Country Pass for Spain. Intrigued by the cities of Eastern Europe, but you also want to a few Mediterranean beaches? This might be one of the best and most scenic train holidays in Europe! This Interrail route takes you through 4 different countries and you can take things as slow as you want to. Start off in the city of Genoa, Italy and continue through Austria on your way South to Croatia. Two beautiful Croatian cities will fill your heart with culture and medieval city views. After visiting the capital of Croatia, continue your journey into the underrated country of Bosnia-Herzegovina. 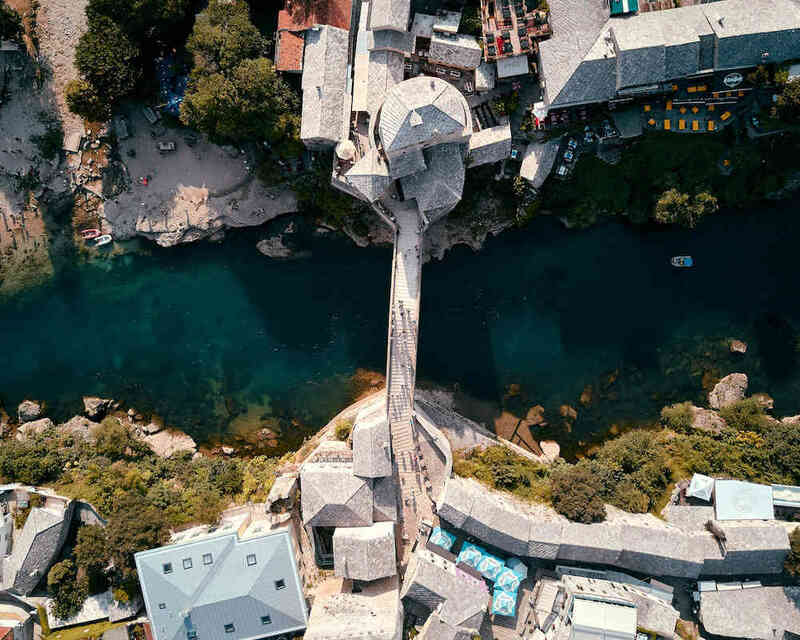 After a city break in the capital Sarajevo, you travel onwards to Mostar, where you get to relax in this beautiful small town, famous for its beautiful bridge and so much more. End your trip on the Mediterranean beaches of Croatia in Dubrovnik and Split! Does this sound like a perfect European train holiday for you? To me, it does! 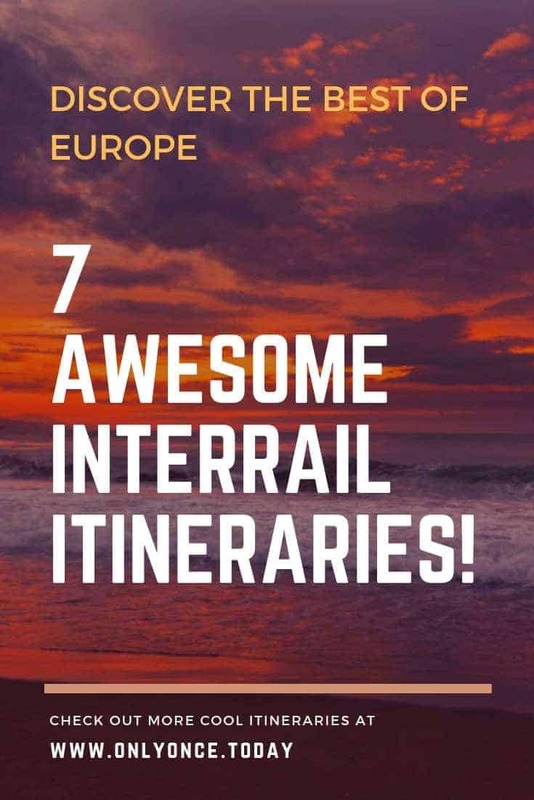 Check out the specifics for this beautiful Interrail route on the Interrail website, where you can also get your Interrail pass for this journey! I don’t know about you, but Scandinavia is very high on our wish list! Thousands of fjords, lakes and weird rock formations await you in the Northern countries of Europe. All Scandinavian countries are known for their superior education, hospitality and happiness factor. So why not take a trip there? On top of that, Scandinavia has a few of the most beautiful train rides on the entire continent. The Bergen to Flam train line is simply stunning. During this journey, you’ll get the best of both worlds, as cities are combines with interesting and refreshing stops in nature. This Scandinavian Interrail Route for 2 weeks begins in Copenhagen, the capital of Denmark. And guess what! Copenhagen is a great destination during the summer, as well as the winter. After that, we travel to Stockholm in Sweden and on to Norway. Time for the most epic train ride of them all: Oslo to Bergen. During this leg of the journey, you can make a small detour to travel the Flam Railway. Add a stopover in Stavanger to step onto the Preikestolen cliff! 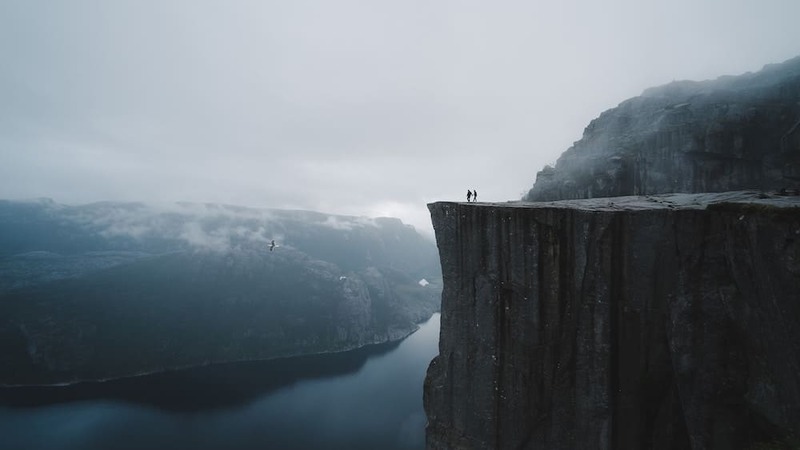 You can also visit Trolltunga Cliff from Bergen. Enjoy the scenic views before you arrive in Bergen at the Byfjorden fjord. This charming city is surrounded by majestic mountains. Travel further North to Trondheim, the Viking capital of Norway. The last stop in this trip is Bodo, which is excellent for viewing the Northern lights and epic hikes in nature. Did you know that with an Interrail Pass, you can also go island hopping? What better place to do that than in Greece? No less than 53 islands surround the country of Greece. You can choose any of these to travel to with your pass. Visit the beautiful Crete, Santorini, Mykonos, Rhodes, Lesbos, … Each island has its own charms and all of them have a perfect warm climate. Check out how to go island hopping in Greece. How would you like to cover some distance, while seeing the best of Europe West to East? This Interrail route is an itinerary for 2 or 3 weeks, but you can expand it if you like to add in a few extra stops! Because of the distance, you cover and the difference in culture along the way, this might be one of the coolest Interrailing Europe routes. Start your adventure in London and take the Eurostar underneath the North Sea, straight to Paris, the French city of romance! Continue your trip to Munich in Germany, the city of Oktoberfest and beer halls! After Munich, travel further East onto the capital of Croatia, Zagreb. From Zagreb, you can make a quick detour to the Plitvice Lakes before heading over to Belgrade in Serbia. The further East you travel, the more you see cultures and landscapes changing before your eyes. Travel to Sofia in Bulgaria, the Balkan city where you begin to see things that remind you of the Far East. 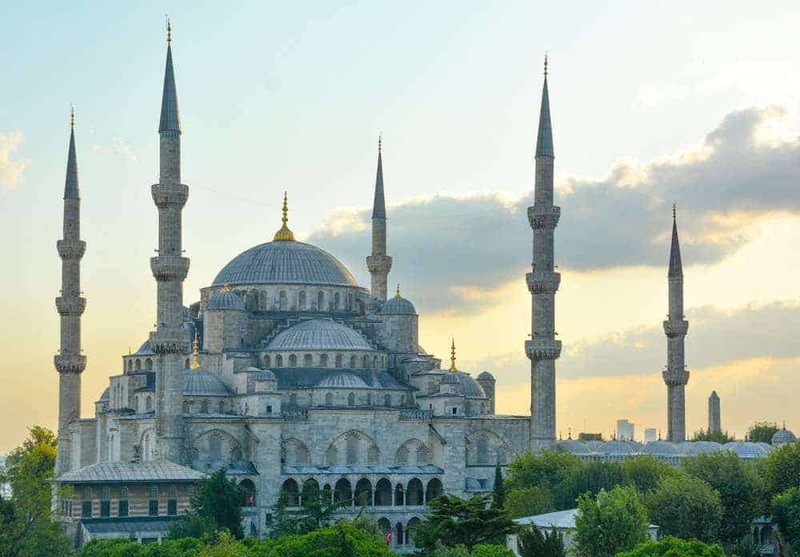 Your last stop is Istanbul in Turkey! So! These are our 7 Interrailing routes to inspire you for your next train holidays in Europe! 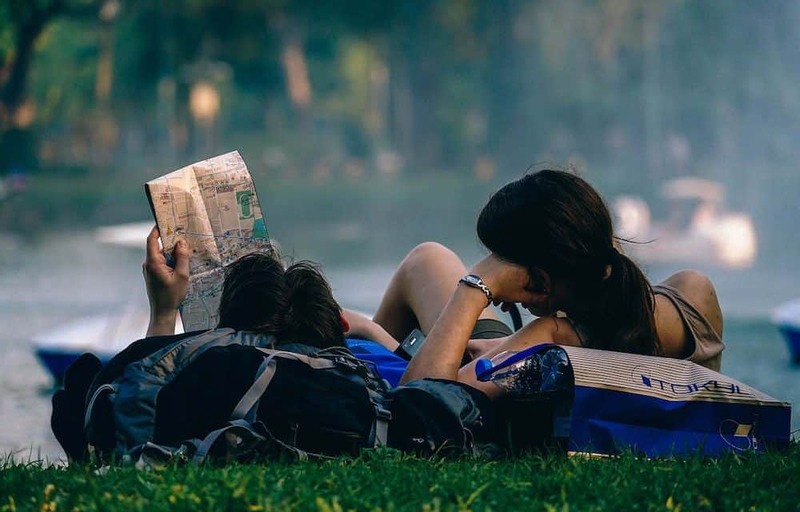 We hope you found the perfect Interrail route idea that suits your dream vacation! Have you traveled through Europe by train or with Interrail? We’d be very interested in learning about your itinerary. Maybe we can add it to our compilation! Before you take off! Check the Interrail website to see which passes they have that suit your travel plans. And don’t forget to read up on your exact itinerary to make sure you get enough travel days op your pass. Some trains require an extra reservation, especially high-speed trains and night trains. NextGuatemala Transportation Guide – Cover ground like a pro!